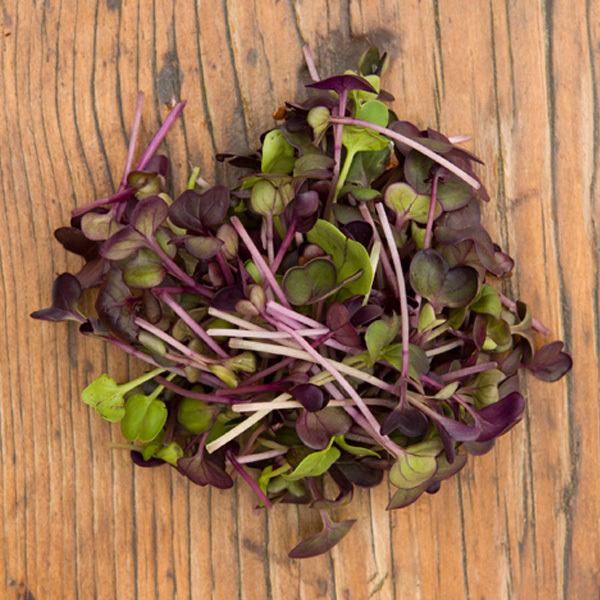 Micro Daikon Radish greens are tiny green leaves and stems similar in size, shape and taste to a micro purple radish. 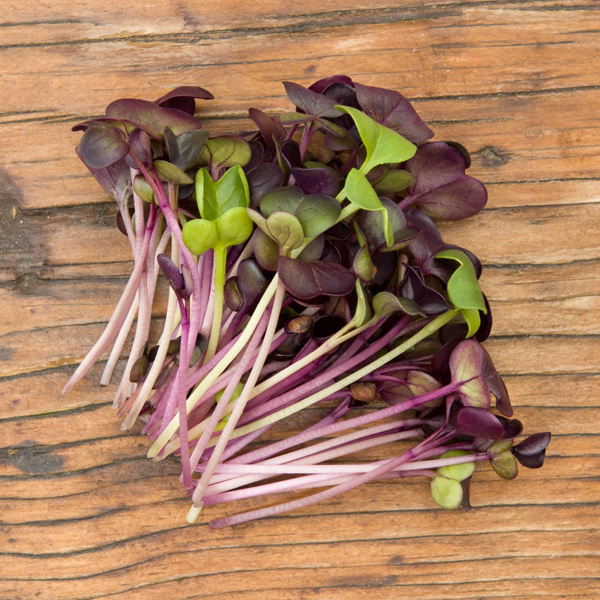 Similar to all other microgreens we sell, the stem and leaf of the micro daikon radish are both edible. 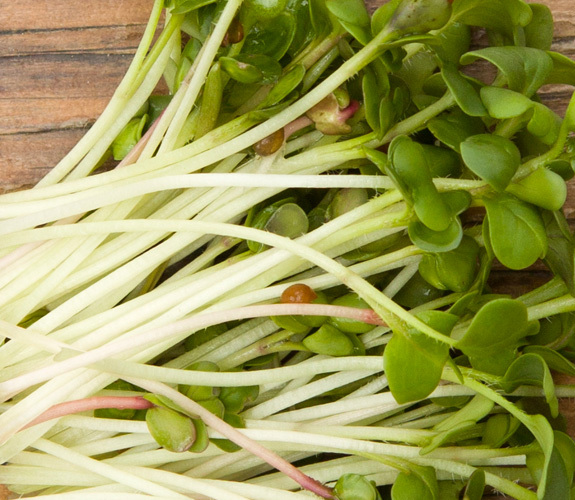 Grown from certified microgreens seeds, the radishes are harvested between 14 and 21 days after germination, and are grown safely in a sterile soil growing environment. The stems typically range from 1-3 inches and transform from a translucent white base up to a deep green stem closer to the leaves. When stored in a cool, dark environment, the vibrant colouring grows deeper, however if left exposed to heat and light over an extended period of time, the colour will fade to a lighter green. White stems, deep green leaves. In taste micro daikon radishes are similar to full grown radishes, spicy, with a mild to sharp punch. The leaves have a texture similar to spinach, although not as delicate, and the stems are slightly crunchy when fresh, but soften when exposed to heat and light. Micro Daikon Radishes have a light and sweet flavour, bringing a pop of freshness to dishes with rich and earthy flavours.